What next? What would be individual Endgames for these actors? And where would these individual Endgames collectively take Pakistan into?. A section within Pakistan feels that this judgement – disqualifying a sitting Prime Minister (though some talk in terms of a “judicial coup”) as a new great beginning for the judiciary and accountability for Pakistan; this section also expects the Supreme Court to continue and expand further. And the elephant in the room- the military has been quiet. Pakistan is trying to digest the Supreme Court ruling on disqualifying Nawaz Sharif as the Prime Minister. So is PML-N – trying to cope up with the situation and looking at alternatives. While Imran Khan is jubilant, other opposition political parties are guarded in their response. 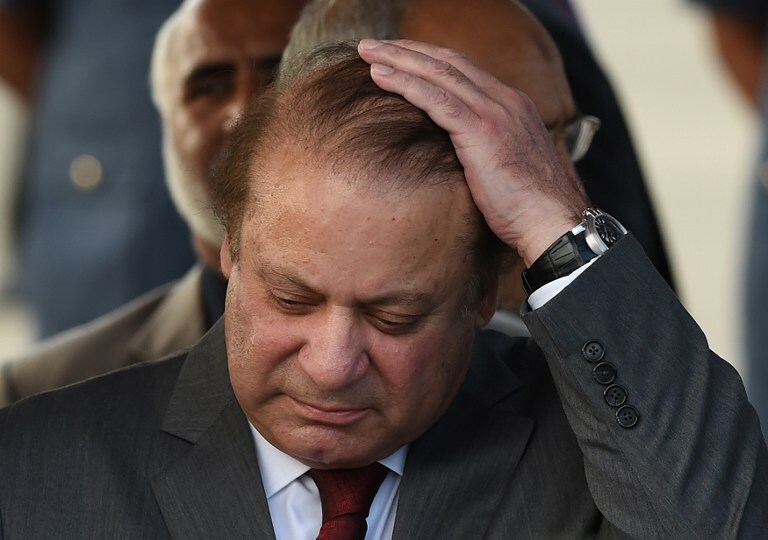 A section within Pakistan feels that this judgement – disqualifying a sitting Prime Minister (though some talk in terms of a “judicial coup”) as a new great beginning for the judiciary and accountability for Pakistan; this section also expects the Supreme Court to continue and expand further. And the elephant in the room- the military has been quiet. What next? What would be individual Endgames for these actors? And where would these individual Endgames collectively take Pakistan into? PML-N: Getting Ready for the Transition. Or, will it Transform? The PML-N has been extremely critical of the entire process led Joint Investigation Team; many within the party questioned the motivations of the JIT. A section even accused of conspiracy by some members of the JIT in misleading the process, and in the process projecting the entire Sharif family in a bad light. And there is an element of truth in the above perception. However, Nawaz Sharif has accepted the Supreme Court’s verdict and has decided to immediately step down. A care taker Prime Minister has been already chosen. It is widely expected that Shabaz Sharif, Nawaz’s younger brother and currently the Chief Minister of Punjab province will resign and contest for the National Assembly, and subsequently get appointed as the Prime Minister. So, it appears that the PML-N is getting ready for a transition in leadership. And this transition is going to be within the Sharif family; one Sharif is getting replaced with another. There is also a belief that Maryam Nawaz is being groomed for a larger later. Perhaps, the PML-N will continue to remain a dynastic party, led by the Sharifs. Will there be a transformation? Meaning, will the transition from Nawaz to Shabaz lead to the PML-N getting weakened at the national and provincial levels? Will there be a revolt within? Will the Deep State try to create another PML faction, or unite all other factions of the Muslim League against the PML-N? True, PML-N does not command support at the national level. Its reach and presence in the three provinces – Sindh, Balochistan and Khyber Pakhtunkwa is limited. However, Punjab is a big province with adequate seats at the National Assembly; if the party is able to retain its support within Punjab, it should be able to continue its presence at the national level. It is in this context, Shabaz role is important. He has worked hard and strengthened the role of the party within Punjab. He becoming the Prime Minister will only strengthen the party’s case within Punjab, than having any negative impact. The only wild card on the above calculation would be any surgical strike by the Deep State. None of the other political parties – especially the PTI and PPP will be able to make any significant inroads. Imran Khan is unlikely to mobilize the Punjabi opinion on any propaganda that the Sharifs are corrupt. On the contrary, the Sharifs are likely to play the card of martyrs and use stepping down to protect democratic process slogan, and may get more votes, seats and share within Punjab. If the forthcoming elections remain free and fair. Unless, there is a follow up case filed against the entire Sharif family and the Supreme Court ruling out them completely. Supreme Court: Is the Verdict Fair? The second issue that needs to be discussed is the fairness of the verdict and also the entire process. A section within Pakistan does believe that the verdict is harsh on Nawaz Sharif. None would dispute the role played by the Sharifs in expanding their business empire; none would deny that they would have used measures outside the legal ambit. Without doubt, there have been cases of corruption involving Nawaz Sharif. But the question here, is the verdict harsh, given the accusation and what has been proved legally. All Sharif has been proved of is his failure to account the salary while filing his nomination about what was “receivable” by him for being the head of a Dubai based international company. Sharif’s argument has been – it was not credited into his account, and it was only “receivable”. A section is not only critical of the above narrow interpretation, but also question, whether the Supreme Court will entertain similar standards of disclosure for all other Parliamentarians. This is likely to open a Pandora’s box for the members of the National Assembly. Even, if he has failed to disclose his “receivable”, does this merit disqualification that too indefinite? A section within Pakistan has also appealed (though not formally yet) in the media that the Supreme Court should reconsider the judgment and review it in full strength. The judgement has been given by a five members bench. Nawaz Sharif is also likely to apply for a review and demand a larger probe. Despite the criticism that the Supreme Court fast tracked this case, and judgement was delivered at a faster pace, one should credit the judiciary for taking a bold step. One wish, that the Supreme Court will have the same concern and follow up with other cases as well, with the same pace. It gave only a month to the Joint Investigation Team; the latter also worked hard, despite criticisms and submitted its report. What about the other cases involving other JITs? Will the SC remain committed to the other cases well? One also wishes that the judiciary shows the same courage and follow up with bold verdicts with the Establishment and its Generals as well. GHQ: What went wrong with the Sharifs? Clearly, something has gone really wrong between Nawaz Sharif and Deep State. After being projected by the Establishment in the 1980s, the PML-N and Nawaz Sharif then were the babies of the GHQ. What has gone wrong between the 1980s and today? Perhaps, it all started with the late 1990s – with Nawaz Sharif being re-elected with a huge majority. That should have given perhaps a false confidence to Sharif, who then wanted to grow out of his erstwhile patron. He did become politically arrogant; his decision to take on the judiciary, that led to violence in the court premises then, was a part of Sharif’s efforts to become “the” leader of Pakistan. Certainly, the Establishment is not going to let him believe that he could become the true leader and be unquestionable to other organs of the State. Sacking of Musharraf was the last straw between the Establishment and Sharif. Ever since, the bridge has never been rebuilt between the two. Perhaps, the GHQ today does not want any repetition of history. Given the lack of opposition, Nawaz Sharif was expected to win the next elections and in the process becoming more powerful. He would have also become the first Prime Minister to complete his tenure. Perhaps, this is something that the GHQ does not want – an independent PM, who has a mass base in Punjab. Perhaps, the GHQ also was not comfortable with Sharif’s initiatives to strike a balance in relationship with India and Afghanistan. With the China Pakistan Economic Corridor (CPEC) expected to bring billions into Pakistan, the Establishment perhaps does not want an independent and powerful PM. And what about the opposition parties? One should credit the PTI and Imran Khan for arduously pursuing the Panama Papers. However, this was more based on his personal interest to become the next Prime Misniter, than to make Pakistan less corrupt. Will he and the PTI be able to cash in? Unlikely. Certainly not in Punjab. Unless the forthcoming elections are not free and fair, Imran Khan is not going to threaten the Sharifs in Punjab. Nor the PML-N is likely to break up, unless, there are other initiatives led by the Deep State.